St. Ignatius College Preparatory is a Jesuit, Catholic, coed high school located in the Sunset District of San Francisco. SI has a long history and tradition of excellence in academics, co-curriculars (athletics & clubs), campus ministry and service to the community. Follow the instructions on the job listing. They are committed to the idea of “cura personalis” – care for the whole person in the classroom, in clubs, on stage, or on the field or court. They appreciate the strides SI has made in our Wellness Program to look at the total health of our students. They know we have a long tradition of excellence, one that is shown in our students and in our alumni. They ensure that our students remain open to growth by helping them develop in new areas. They support our students in their efforts to work for justice for all and to become leaders who serve. They find joy in how loving our students are. For more information, contact our assistant principal for academics Carole Nickolai. 1. SI truly is a family, one where students, teachers, parents and administrators care for each other. 2. 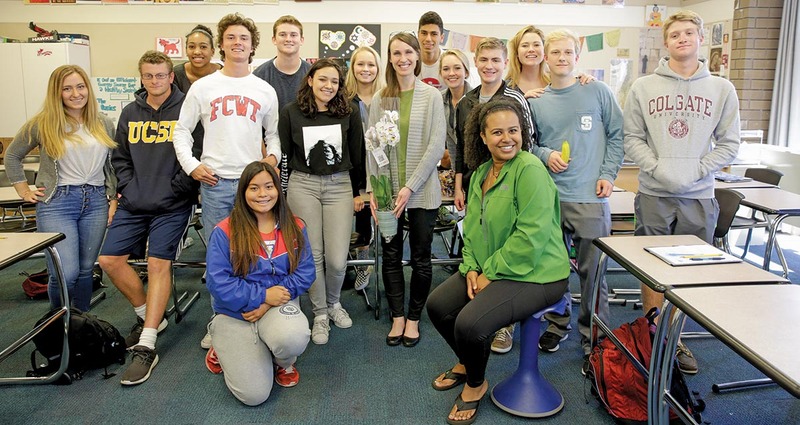 SI has served students in the San Francisco Bay Area since 1855 and is also part of a worldwide network of Jesuit schools with a shared Ignatian mission. 3. SI has a proud tradition of public service, with graduates making up civic leaders from Mayor Moscone ’47 to Governor Jerry Brown ’55. 4. SI produces students who are leaders in their field, from John Montgomery, an 1873 graduate who was the first person to design and fly a glider in the Western Hemisphere, to former Intel CEO Paul Otellini ’68 and Google Lead for Sustainability Kate Brandt ’03. 5. SI isn’t afraid to grow and change, from our plans to build a new STEM center to launching the Fr. Sauer Academy – a free middle school program. 6. SI’s pay is competitive, with room for salary increases for academic advancement and co-curricular work. 7. SI’s benefit package is also generous, with everything you will need to ensure a long career here. 8. We support your professional development efforts so that you continue to grow in your skills. 9. We’re located in a quiet part of San Francisco with plenty of parking and easy access to the rest of the Bay Area. 10. We are in the most beautiful city in the world!